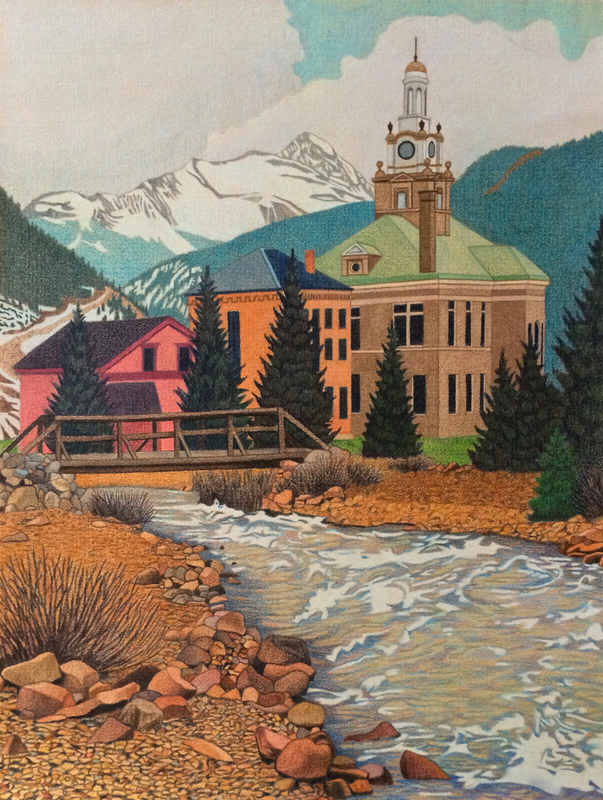 Silverton, Colorado sits in a deep valley enclosed by enormous mountains. Presiding over the highest district in the United States, the San Juan County Courthouse is seated just above cement creek. Clear and cold, the spring runoff rushes over a rocky creek bed and out of the foreground. Stretching ever skyward, the stately structure bears a striking resemblance to the silvery peaks that surround it. With an air of unnatural perfection, a grouping of cylindrical pine trees stands at attention. A rickety bridge is a surprisingly sturdy link between architecture and the alpine tundra. The rustic buildings are as colorful as the town's storied past. Silverton is a former mining camp that was characterized by a rough and rowdy bunch. This melting-pot of personalities partook in a variety of unseemly activities, such as drinking, gambling, prostitution and robbery to name a few. Distinguished by turbulent weather and long, severe winters, surviving in such a harsh environment requires a hardy soul. At such an extreme elevation, while strolling in the middle of smokey-blue mountains, the sensitive searcher can't help but absorb this undeniable spirit of the San Juans.